Sunday! Sunday! Sunday! Oh what a day Sunday turned out to be. From beginning to end just one magical, momentous day and I was fortunate enough to be a part of it all. I would like to begin by thanking Jeff Millard for inviting our staff writers out to the U.S. Open Kick-Off “block party” at Golf Galaxy (in Robinson) along with the promoters and staff of Taylormade Golf Company (an Adidas affiliate) for sponsoring/hosting the event. 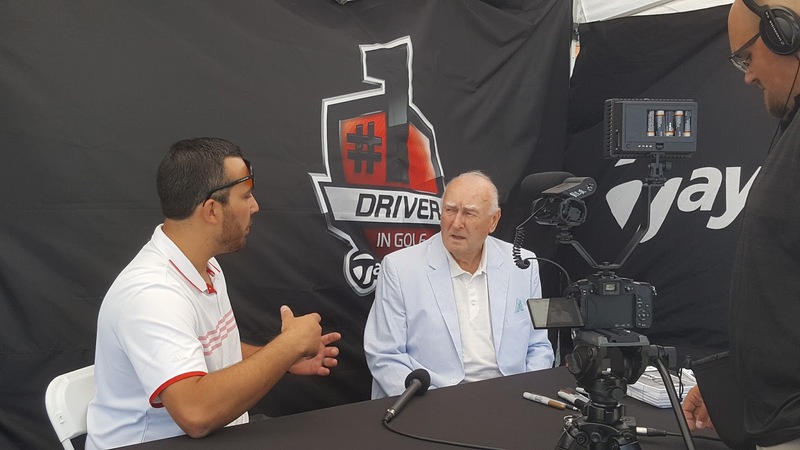 It was a great, family friendly atmosphere with giveaways, U.S Open ticket prizes, as well as demos and fittings for new club for those who are into golf. I will admit… I have never been a golf fan so I was a little out of place with the whole U.S Open hype and I have swung a club all of once in my life. I will, however, give anyone a good game of mini golf anytime they want. The event also welcomed some local sports celebrities from across the eras of Pittsburgh sports history. 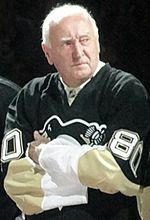 One of those celebrities was famed and well respected former Penguins Head Coach and General Manager, Eddie Johnston. A big golf fan and player in his spare time. He is a former goalie for the Boston Bruins and “mentor” to Bobby Orr. He was one of the last goalies in that time to start wearing a face mask but after taking a puck to the face (from Orr), he adopted the practice in 1965. He was also head coach for the Chicago Blackhawks before coming to Pittsburgh. He is revered as the “Godfather” of the Pittsburgh Penguins franchise and was the GM that brought us Mario Lemieux in 1984 (from all of us, THANK YOU). He remained Head Coach until the end of the 1987-88 season. He would later return to Pittsburgh for a second had coaching stint (from 1993-1997). The team would go 153-98-25 during that time and lead the Penguins to the Stanley Cup Semi-Finals in 1996. 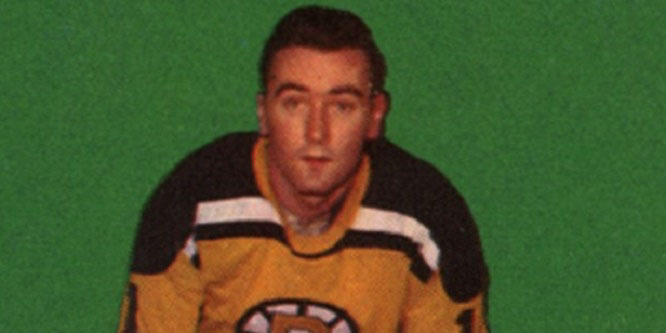 For more history on Eddie Johnston, you can Google it. 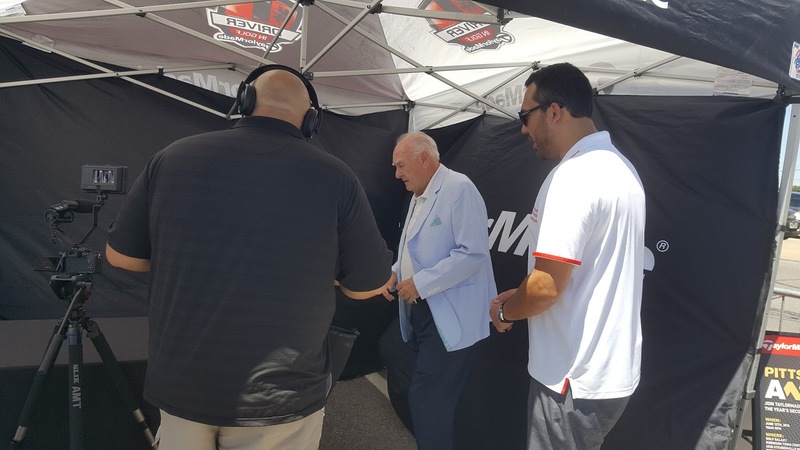 He is, as one sports writer called him, a “…man of the people.” Always easy to talk to, welcoming of any and all questions and will tell his stories of the NHL for anyone who will listen. Mr. Johnston (or E.J as most of the world knows him as), was gracious enough to let me pick his brain in an intimate one-on-one interview before meeting with fans for autographs. 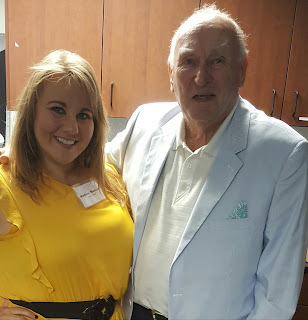 He was a joy to talk to and could easily be anyone’s grandfather. He is just one swell (yes I said swell) man. MMC: “Thank you so much for agreeing to meet with me. This is such a big moment for me so please pardon my slight “star-struck-ness”. MMC: “I wanted to start with just an ice breaker type of question. Being a former Head Coach of the team, as well as General Manager, what was your favorite team uniform color scheme/layout? EJ: “This would be fantastic. This has been a great week because 32 years ago, a few days ago, was when I drafted Mario Lemieux. So this would be a great week to finish it off with bringing the Cup home. EJ: “What I am going to do this year is take it to our golf club and, uh, my daughter, she has a place on a cul-de-sac and last year we had a few thousand people come and people brought their babies and were putting the babies in the Cup and everything. It’s a great celebration so hopefully we can do that again. EJ: Anytime we score, I’d be happy to hear it a few more times. Which would be a good indication that we are winning n’at”. (For the record, yes, he does say the classic Pittsburgh-ese phrase, n’at, quite often). EJ: Oh, just right here alone, we got about 15 kids right now playing in the NHL. Ya know, we got (Brandon) Saad over there (in Columbus) and Gibson who is a goal keeper, but we got about 12 more right now and I think we’re probably going to end up with about 25-30 of them because this year, there are a couple of guys mentioned in the draft, high school kids, who are very, very good. So the program has been terrific here. Everybody from the area that has played I the NHL and contributed have become pretty good hockey players. It’s a big thing. There are more rinks now. Better coaching, better high school coaching. Video helps a lot and I think Mario Lemieux has an unbelievable effect on minor league hockey as well as high school hockey. It was the same with (Bobby) Orr in Boston. All of a sudden all the kids wanted to play hockey. EJ: “Well I think the equipment is terrific. It’s a lot lighter than when I played, but I think what they are doing now with the concussions, in every sport, it’s become a big thing now. And goal keepers, if they take one off the head, mask or no make or helmet, when you get hit with a puck it’s like a frozen puck. I know because I have had some injuries so I think the equipment and the protection for the goalies is terrific and I think with the concussion situation, they (the coaches and league) don’t tolerate it now. If they have any indication you aren’t feeling too well, they bring you in right away, give you some tests and if you don’t pass, you’re not playing”. EJ: “I don’t know how many players they are going to allow to protect, 10-15, or whatever it is. You got your bigs; Crosby, Malkin, Letang, Fleury, uh, Kessel and now Murray. It all depends on if they say you have to protect 15 and then you can lose one and then put one more back on. No indication has been made though as to what they are going to do yet. But it is a pretty good chance Las Vegas may be coming in because they had to have 10,000 person fan base and they have that already. That will probably happen at the draft this year, IF they pass for that. MMC: “Why do you think the NHL passed on Quebec City”? EJ: “Well, right now the Canadian dollar is at, like, thirty-five cents below and you are all paid, the coaches and players, they are all paid with American money. So you have to add another 15-20 million dollars to get a franchise. I think they will eventually get one once the Canadian dollar n’at goes up but right now it would be a big hit with it (the Canadian dollar) being thirty-five cents down. It’s pretty tough. EJ: “I wouldn’t trade Fleury. He is one of the top 2-3 best goalies in the league right now. Murray has been phenomenal but we would not be in the position we are in right now unless Fleury played the way he did. He is the premiere goal keeper in the NHL. What you do is you bring Murray along a little at a time and he is going to take over…eventually. But I wouldn’t move Fleury if it were me right now”. MMC: ”Alright, you have been so amazing. It has been a great conversation with you. One final question. Everyone involved with hockey on any level was devastated to hear of the passing of the great Gordie Howe. Can you please share a memory or experience or personal sentiment of the kind of person Gordie was during your time playing with him. But, no he was and will be Mr. Hockey. Nothing more appropriate to name him. One of the greatest of all time. There will never be another one like him. Great insights from a great man and a giant among men in the NHL. Many thanks again to Mr. Johnston. I wonder how I get an invitation to that party….hmmm.